The Karnataka Common Entrance Test 2019 has been released by the Karnataka Examination Authority. The Karnataka CET 2019 admit card is available on the official website, kea.kar.nic.in. The Karnataka CET is a state level common entrance test conducted by the Karnataka Examination Authority. The Karnataka Common Entrance Test 2019 has been released by the Karnataka Examination Authority. 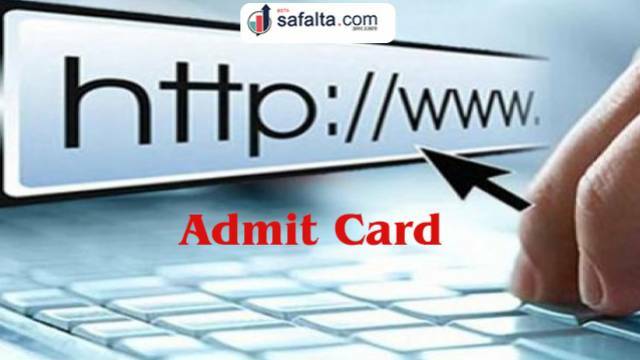 The Karnataka CET 2019 admit card is available on the official website, kea.kar.nic.in. The candidates who applied for the entrance test can visit the official website to download the hall ticket. Earlier the authority has issued a press note stating, "In view of the announcement of schedule of Lokasabha Elections 2019 by Election Commission of India on 10-03-2019, Government of Karnataka has directed KEA to conduct the CET 2019 on 29-04-2019 and 30-04-2019 and the Kannada Language Test on 01-05-2019 for the year 2019 as per the following revised time table"
Step 2: Click on the link scrolling on the homepage that reads, "CET-2019 Revised Time Table"
Step 3: Now click on the "CET-2019 - Hall Ticket download Link"
Candidates are also advised to stay updated with all the latest news regarding competitive exams by visiting Safalta education portal regularly. Notification of all important exams, along with their relevant Study Material, are provided on the portal every day.